I’m more an accumulator than a collector, having amassed a sizable amount of books and DVDs thanks to my various gigs. How I wound up with these three films—pretty much the extent of my “collection”—is something of a mystery, even to me. Back in the early 1970s, I used to buy old telefilms and TV commercials cheap at Peerless Willoughby for use in my own work. Calling All Girls—a fake documentary that is also a compilation of Busby Berkeley’s greatest hits—is something that I got as a work, having seen it both in Ken Jacobs’s class and as a short subject with Putney Swope. My guess is that I saw it in a catalog and couldn’t resist the ridiculously low price, probably $20. It was an inspiration for my own greatest hit, Mission to Mongo, and paid for itself many times over because I used it regularly in my Cooper Union classes, always on a bill with MoMA’s shortened Triumph of the Will. I don’t remember how I discovered the anti-Communist propaganda film Red Nightmare, which I programmed for the Collective for Living Cinema in the late ‘70s. I do recall that I was given the print by Joe Angier, a Binghamton classmate then working in TV documentaries, after I helped him out with some project or other. I used to show it in class also, mainly at NYU. Writing this I realized for the first time that both it and Calling All Girls were made by Warner Bros., my favorite studio. Perhaps there are other connections as well. The Girl from Chicago was my only serious purchase—possibly costing $100, most likely in the early 1980s. I guess I saw it in a catalogue (A new and unknown Oscar Micheaux film!) but I must have sealed the deal over the phone because I recall the seller asking with some surprise if I was white. This one I screened for friends. I remember schlepping it over to show Greg Ford and Ronnie Scheib, local film collectors, from whom I used to borrow a print of The Next Voice You Hear for my NYU classes. Greg really got it: “It’s Andy Warhol,” he said incredulously. And then there’s the one that got away. In the early ‘90s I received a message from a guy who had just inherited a little building on E 4th Street across from Millennium that had evidently been the office for the Ukrainian section of the Communist Party. There were dozens of old movies. I poked around and amid the cans, mainly Soviet Ukrainian features, I found something close to a lost film, namely a 16mm print of Edgar G. Ulmer’s Natalka Poltavka. I had it in my hands, I could have walked out and I should have, instead of acting responsibly to contact the neighborhood film archives and informing them of this trove of Ukrainian films. So far as I know, nothing ever came of it. 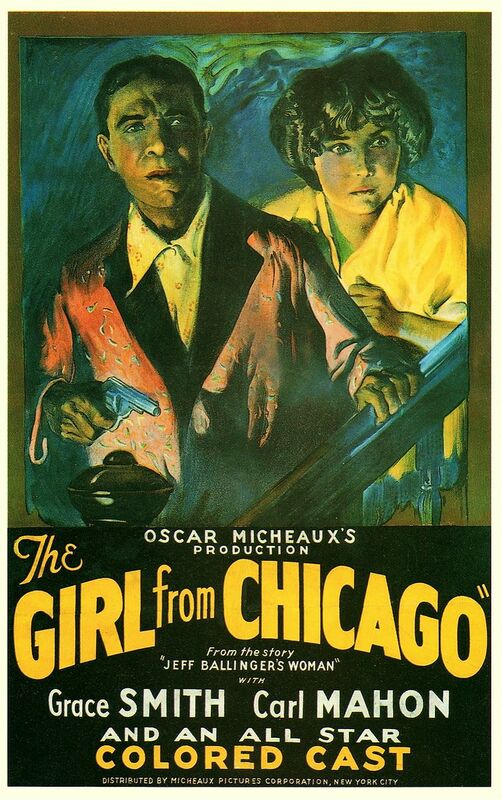 I regret it to this day and especially today, thinking that I could have presented a legendary double-bill of Oscar Micheaux and Edgar G. Ulmer.